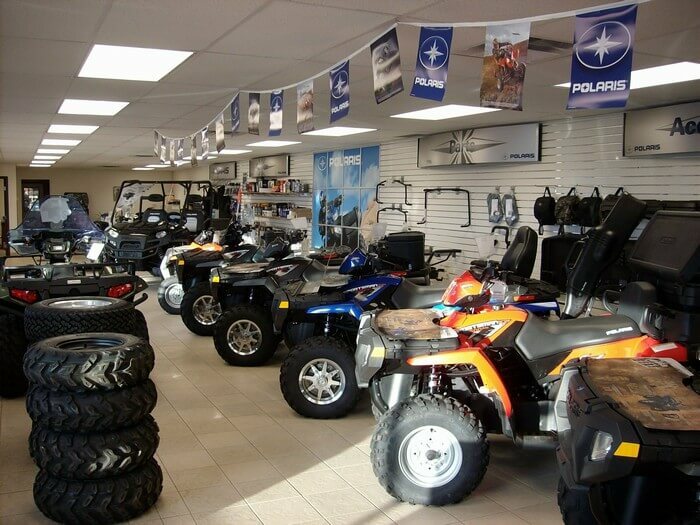 Stockmen's Motosports | Yankton, SD | Local Polaris Dealer! Stockmen's Motosports is your local Polaris dealer. We have a full lineup of RZRs, Rangers, Sportsmans, and General ready to get you in the fields, woods, or wherever you like to go. With a a full service shop full of factory trained and certified technicians to get the job done right, you can count on us. We also sell trailers made by DCT and Wilson. Located on Highway 50 in Yankton, South Dakota - just a stones throw from Iowa, Nebraska and along the Missouri River. We are here to serve all your ATV and trailer needs. With a complete shop, we service what we sell - and also what the other guy sells, too.